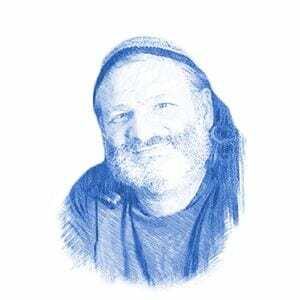 “Hallow the Fiftieth Year”: Sanhedrin Declares Year of the Jubilee - Breaking Israel News | Latest News. Biblical Perspective. After a full year of deliberation, the Nascent Sanhedrin has announced that this year is the first year in the counting of the 50-year Jubilee cycle. This not only reinstates a Biblical commandment, but it has implications for Israel’s status as a Biblically mandated nation, returning the land to the Jews and ensuring each Jew an inheritance in the land. The Jubilee (Hayovel in Hebrew) is a Biblical commandment that is observed exclusively in the land of Israel. It is the fiftieth year that comes after a period seven sabbaticals. The year triggers a number of Biblical commandments concerning property rights and returning the land to its original inheritors, the Jews who were allocated the land by lottery. Debts were forgiven and slaves who sold themselves due to debt were set free. The Jubilee is dependant upon certain conditions pertaining to Jews being in the land, though there are many differing opinions about the specific requirements. As a result, the Jubilee has not been observed since the Second Temple when the Jews returned from the Babylonian Exile. For the time being, there is no practical implication and in truth, very few Jews have acknowledged the Sanhedrin’s Jubilee decision. Nonetheless, this was a groundbreaking decision that will have tremendous consequences in the future. Rabbi Hillel Weiss, secretary of the Nascent Sanhedrin, explained their controversial decision to reinstate the Jubilee to Breaking Israel News. “First we had to decide if the conditions exist to do so. 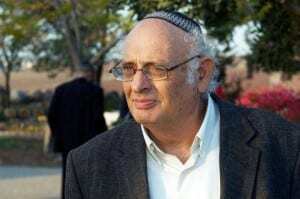 This is done by a bet din (Jewish court) when it has been established that Jews have returned to inherit the land as a nation, and not just as individuals,” the rabbi explained. Rabbi Weiss explained that unlike most Torah commandments which are based on the personal observance of each Jew, the Jubilee has to do with Israel’s national identity. “When those conditions have been met, as they clearly have, then the conditions for counting the Jubilee has been met,” Rabbi Weiss concluded. The practical implications will begin only for the next Jubilee in 50 years, when seven shmittah cycles are complete, and the Jews in Israel are required to observe the other Jubilee commandments. A rabbi who was part of the Sanhedrin’s decision spoke to Breaking Israel News anonymously for reasons of personal modesty. “It was really a foregone conclusion. Once we established that the conditions for counting the Jubilee had been met, we were required by the Torah to begin,” he said.